A digitally readable facade will grace the southeast corner of a building at the Ontario College of Art & Design (OCAD U). 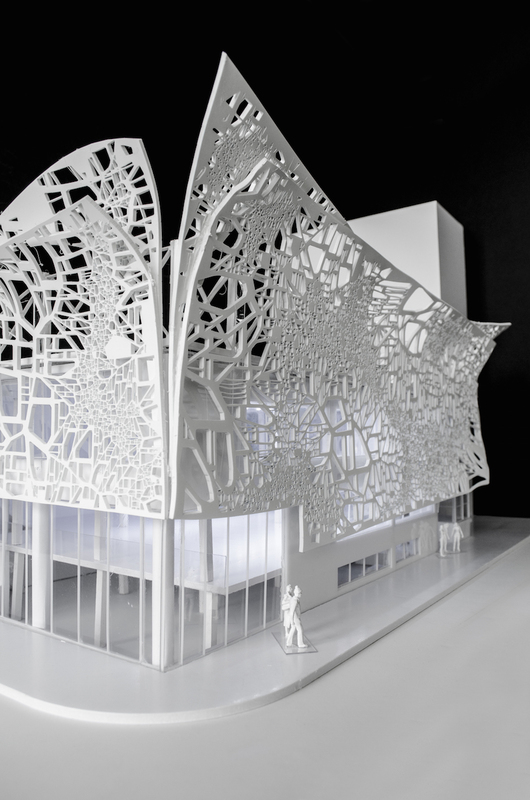 Designed by Bortolotto, the “intricately perforated and technologically responsive” scrim will wrap around the former main office building of the campus, “pulling gently away” like a partially unwrapped gift to reveal student work inside and make it visible from the street. Meanwhile, the 16,297-square-foot building itself, dubbed the Rosalie Sharp Pavilion, will be converted into a multi-use work and exhibition space for students featuring studios and interactive meeting and event facilities. The minutely detailed lattice is the culmination of mapping data of artistic institutions in the local area—including galleries, studios, and art stores. 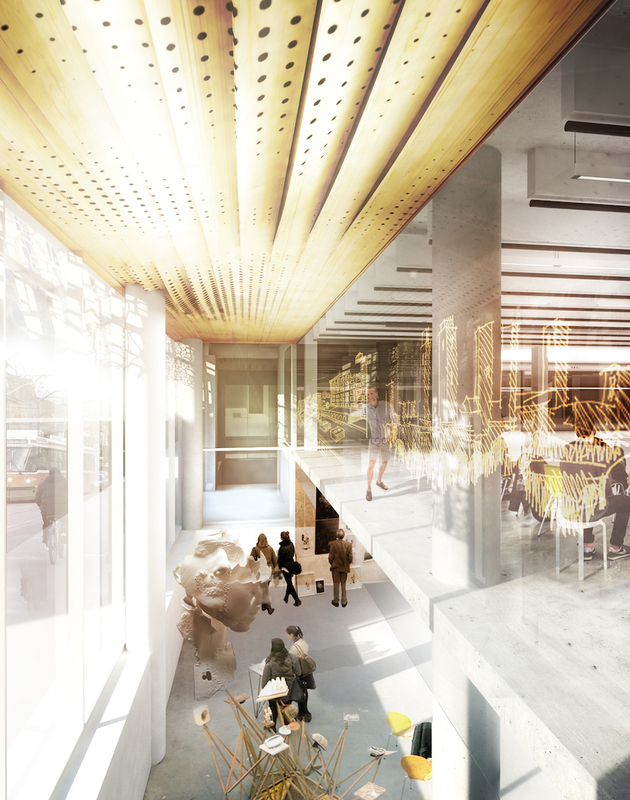 The links between them and to the college are designed to emphasize OCAD U as a cross-disciplinary institution at the nexus of these relationships. Aluminum panels mounted on a metal subframe will front the building, held in place by structural steel outriggers. The perforated pattern will be applied by water-jet cutting to render a purposely non-uniform look so that information can be embedded in different parts of the design. 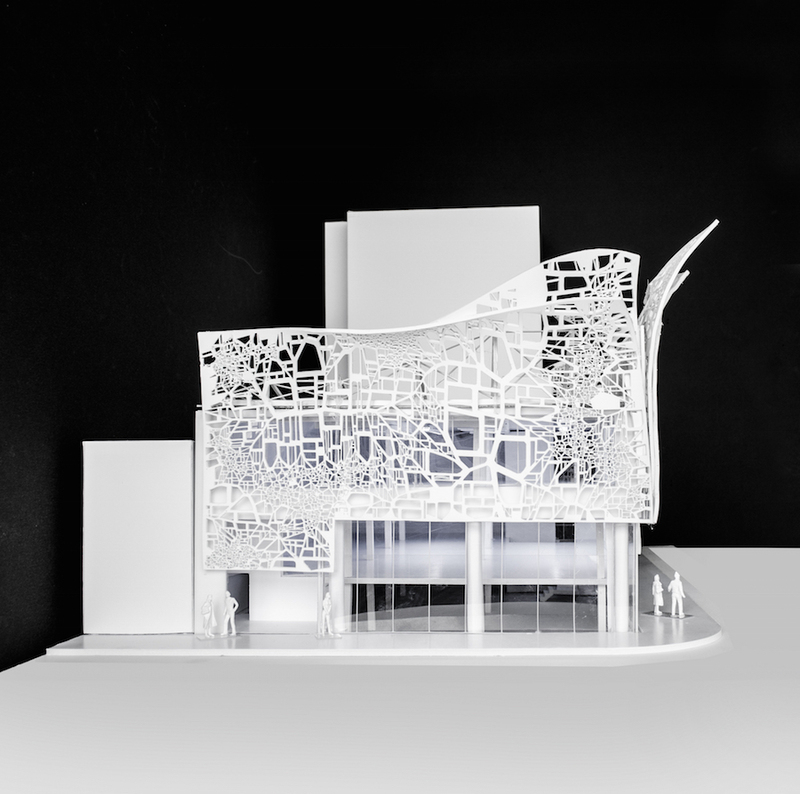 Bortolotto is collaborating with OCAD’s Digital Media Research Lab to create a complementary mobile app through which the facade’s interactive features will be mediated and experienced. Ultimately, passersby can photograph sections of the facade and receive associated digital information through the mobile app. 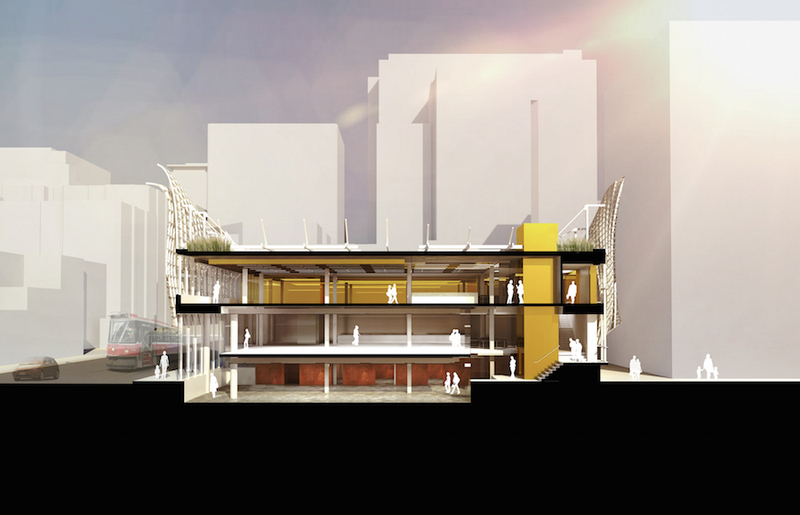 “We’re proud of this exciting solution that brings together technology and design to redefine the corner and enable the university to communicate with the community in a new way,” said Bortolotto president, Tania Bortolotto. 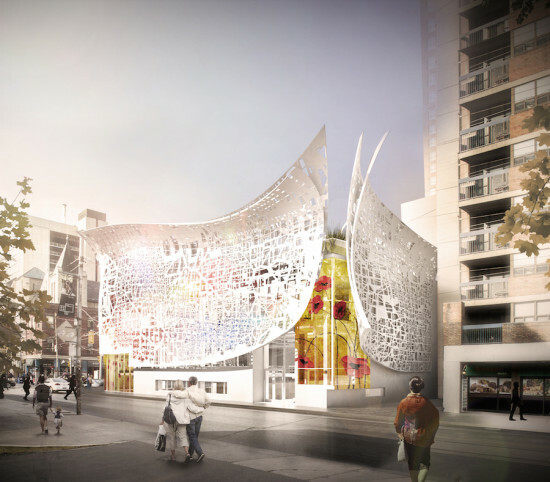 The ‘peel-away’ facade is a gesture to Frank Gehry’s Art Gallery of Ontario and Will Alsop’s Sharp Center for Design at OCAD U.